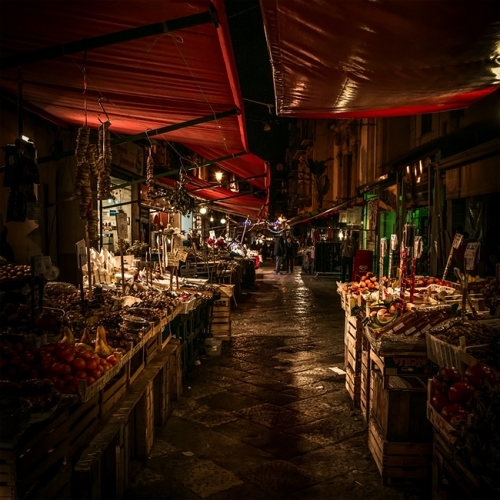 "Walking in the evening in the historic centre of Palermo, which is the heart of the city, you can see many areas that are colored by typical corner markets that represent the ancient city’s pulsating core, tied to the scents and traditions of this city. Past and present exist together and give a unique scenery in many interesting places. Il Capo, Ballarò and Via Bandiera are some of Palermo’s four main street markets. They have Arabic origins and during the evening the atmosphere is unique."